A spacious room with kitchenette facilities situated in a well-renovated chateau in a quiet environment. Nice restaurant on site also. Great apartment, very large and well appointed. On a golf course. 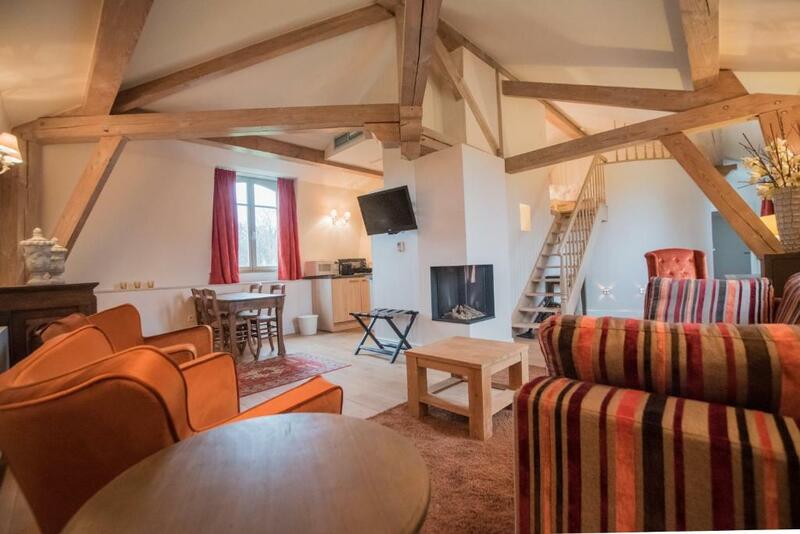 House well renovated to a high standard. It is an apartment as other people lived in the block. 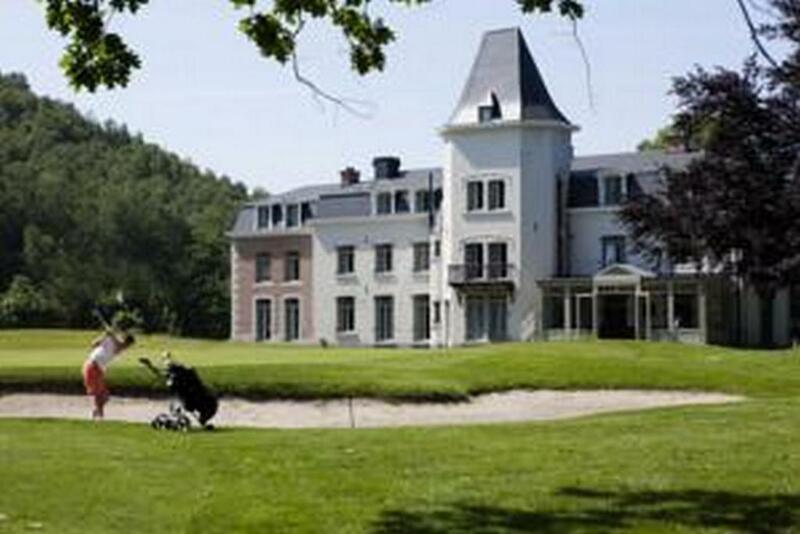 Very nice apartment next to a clubhouse of a golf range, in a great looking small chateau. Free parking. I loved the peacefulness of the location, the park is really amazing. The room was large and it was really handy to have a kitchenette. The building is really beautiful. De locatie is schitterend, de kamer ruim met alle voorzieningen waaronder voldoende koffie, het bed is goed en alles heel netjes, de gastvrouw en gastheer zijn heel vriendelijk, ook bij het ontbijt waar tijd is voor een leuke babbel. Tout. Endroit magnifique et calme. Superbe chambre tres propre. Bon ptit dej. Personne tres serviable. Lock in a great price for Château Bernalmont – rated 8.7 by recent guests! Château Bernalmont is located in a green setting, in spacious grounds with a golf course, 15 minutes’ drive from Liège. All of the air-conditioned rooms and apartments at Bernalmont have an elegant decor and a private bathroom. Some come with a balcony or terrace. They also have flat-screen cable TV. Guests benefit from WiFi throughout the hotel. Upon request and at an extra cost, golf initiations are available on site. Free private parking facilities are available on site and Herstal's Train Station is 1.6 miles from the accommodations. The Dutch city of Maastricht is 18.6 miles from the property. Aachen in Germany can be reached in 45 minutes by car. The local area is ideal for walking. 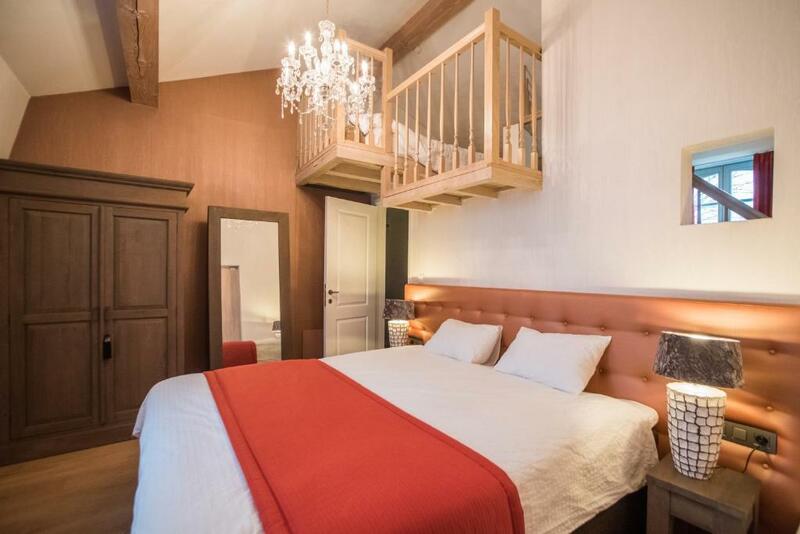 This property is also rated for the best value in Liège! Guests are getting more for their money when compared to other properties in this city. When would you like to stay at Château Bernalmont? House Rules Château Bernalmont takes special requests – add in the next step! There is no reception, check-in between 12:00 and 14:00. If you need to arrive outside of the check-in times, please request at least 3 days before you arrive by email. Cleaning is done at the end of your stay, or once per week. Please note that after booking guests will receive an email with information about the deposit they need to pay. Please inform Château Bernalmont of your expected arrival time in advance. You can use the Special Requests box when booking, or contact the property directly using the contact details in your confirmation. We were asked what time we would be arriving and messaged back with an agreed time. When we got there noone was around. We were forced to call the owner who did not seem to be expecting us. We were finally let in by a lady with no english. My bad french allowed me to communicate that the breakfast would be 9.30 next morning. Next morning, no one around again. Again had to call owner. There seemed to be nowhere to have breakfast that we paid for. It was Sunday morning so nowhere around either. No one around to collect key on leaving?? Would not stay there again. No reception at all. Never have I experienced anything like it. We asked for refund for the non existant breakfast which he agreeed to do. Heating was off. Nobody was at the reception, sent sms with no reply. Looks good, near golf course, nice building. Internet can be improved, but is small issue. The sheets were too small for the bed and they didn't feel comfy We had some problems with the shower. The water wouldnt heat up. Out of the city, no restaurants or other facilities in the neighbourhood, breakfast not included. When the neighbor took his shower, I thought he was in my room. Duvet too thick for the time of the year, bathroom could be more comfortable. Room was not very clean, no breakfast service available, water kettle in the room would have been good, pricey (significant price increase for Liege-Bastogne-Liege weekend), and somehow the Booking.com booking system didn't work and two of the four rooms we booked were cancelled (but only two months before the event, when it was impossible to find suitable other rooms). The only negative point is the cleanliness. Lots of hair on the floor in the bathroom. I would suggest the owner to invest in a vacuum cleaner. It is a pity because all the rest was nearly perfect.